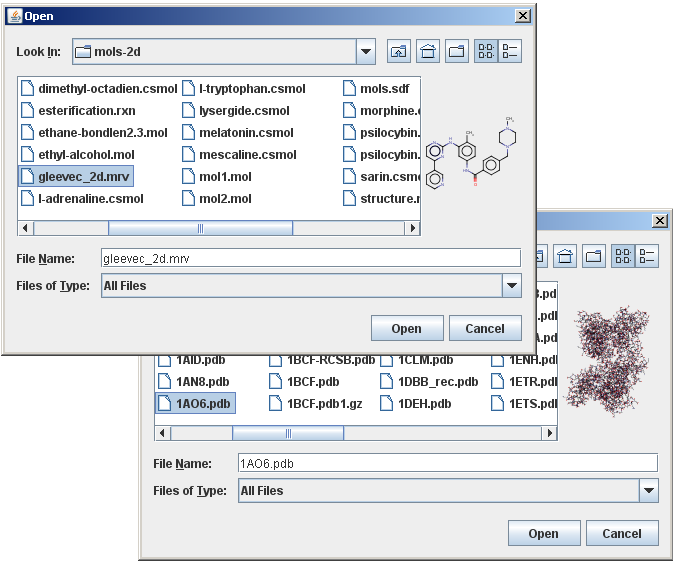 In case the currently selected item in the list of the file chooser is a structure file that Marvin can import, the accessory component displays a thumbnail sketch of the molecule rendered by Marvin. Otherwise, the accessory component is empty. Any object that inherits from the JComponent class can be an accessory component. The component should have a preferred size that looks good in the file chooser. 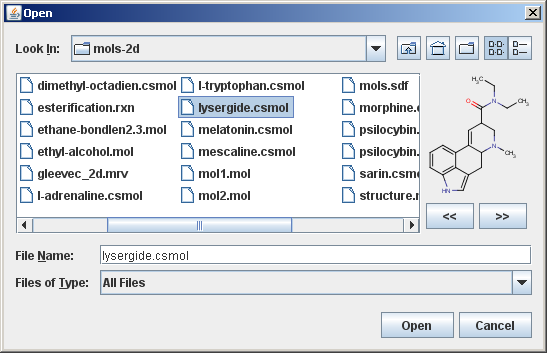 The file chooser fires a property change event when the user selects an item in the list. A program with an accessory component must register to receive these events to update the accessory component whenever the selection changes.